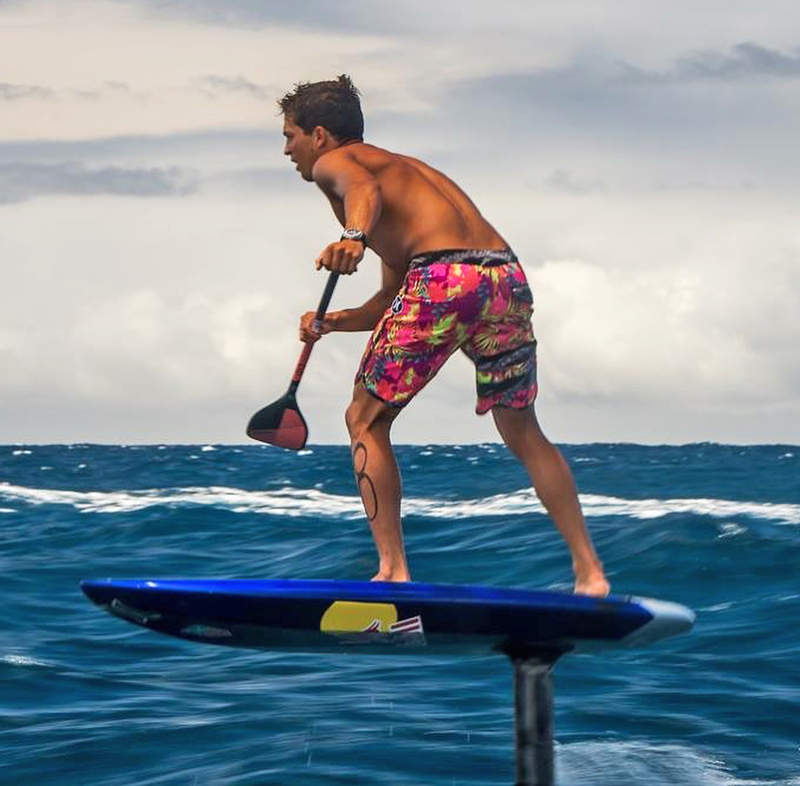 Kai Lenny is leaving Naish after 16 years; where to next for the superstar of stand up paddling? 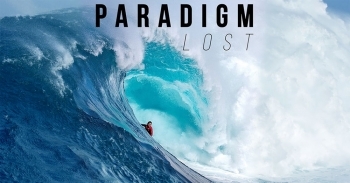 Kai Lenny’s brand new blockbuster surf film Paradigm Lost, which charts the superstar’s success in an array of ocean sports, is streaming free on Red Bull TV all this week. 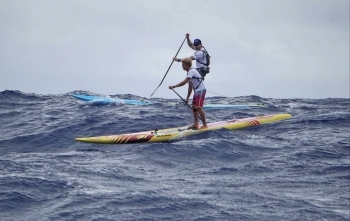 SUP superstar and pioneering ocean athlete Kai Lenny has chalked up yet another landmark achievement, smashing his own Molokai to Oahu record in a solo attempt that saw him complete the iconic channel crossing on a SUP in less than three and a half hours. You know those kind of people that do something great and then sit back, relax and enjoy the afterglow? 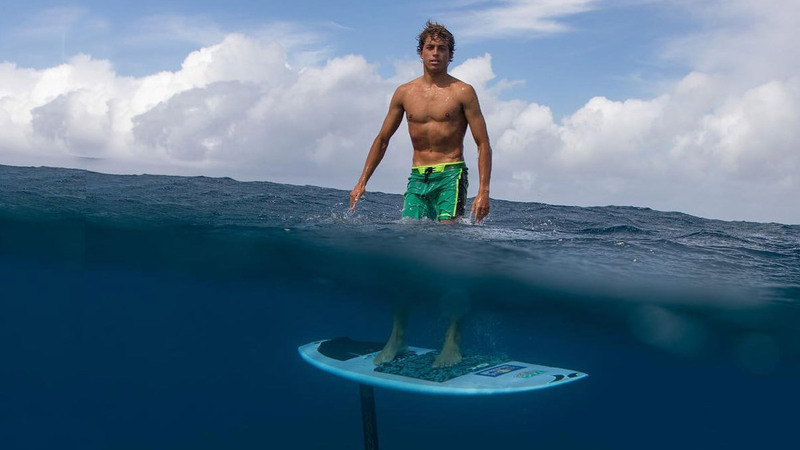 Kai Lenny is not one of those people. 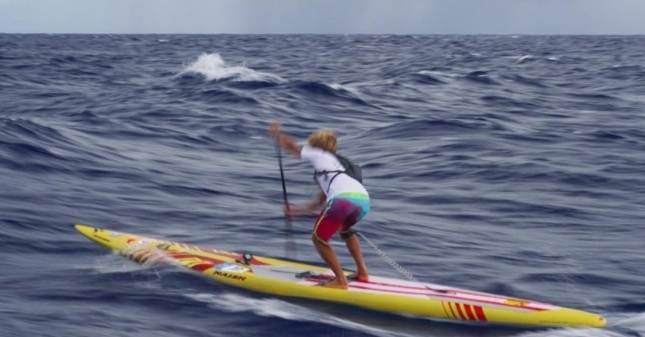 Kai Lenny is a certified freak. The boards are back on the rack, the boats are back in the harbour and the trophies are up on the mantelpiece. 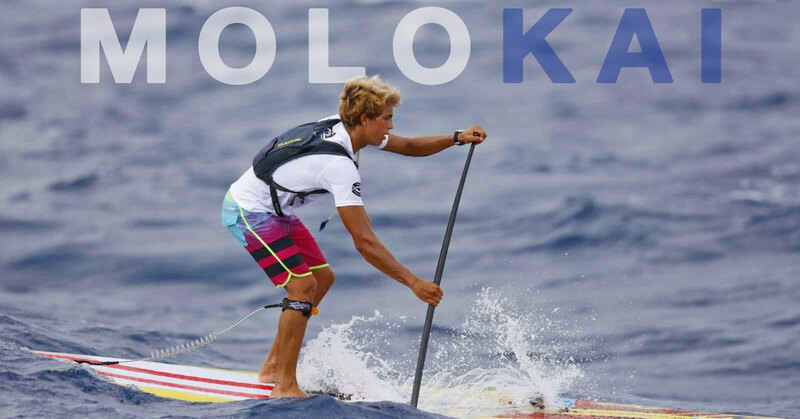 Molokai-2-Oahu is done for another season, however the memories from this year’s epic will live on forever. 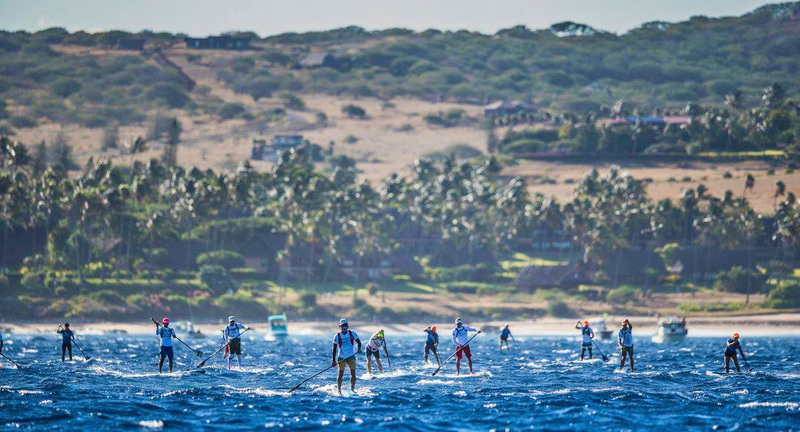 The most prestigious race in the world certainly lived up to its hype this year, with the 20th annual crossing of the Ka’iwi Channel proving to be the fastest, most competitive and most exciting edition yet. 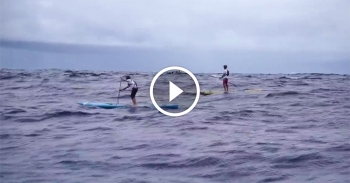 Check out this interesting little clip from Sunday’s epic Molokai 2 Oahu race. This was filmed about two thirds of the way across the Channel of Bones, when Kai Lenny and Travis Grant were locked in an epic duel for the title. 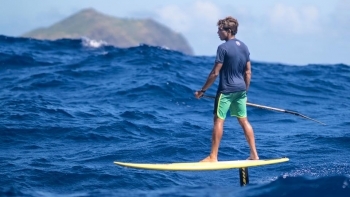 After the epic crossing of the Ka’iwi Channel from Molokai to Oahu yesterday, we’ve updated the leaderboards on the SUP Racer World Rankings with the latest results. 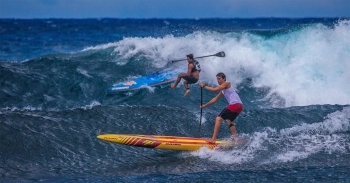 The most significant moves come from the M2O champions, with Kai Lenny jumping +3 to world number four, while Sonni Hönscheid becomes the new world number two after her third-straight Molokai-2-Oahu title. 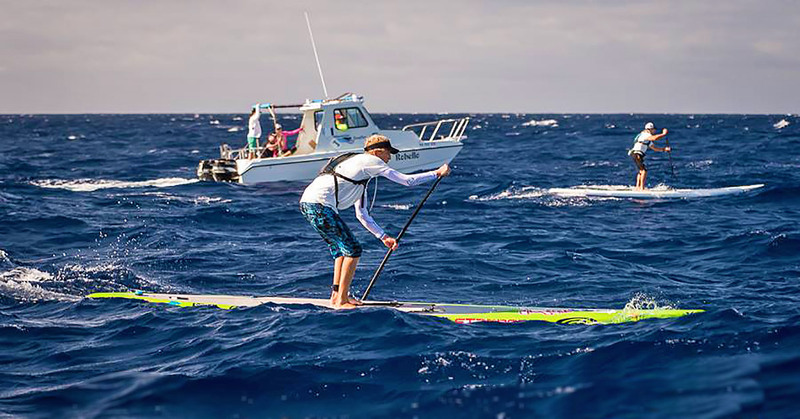 Other big movers include Jimmy Casey, who cracks the world’s top 10 for the first time following a supremely impressive fourth place finish (where he was less than a minute behind three-time Molokai winner Connor Baxter). 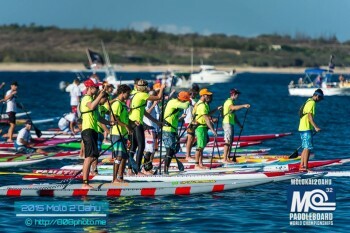 Jimmy’s compatriot and fellow top five giant killer, Toby Cracknell, is +10 this week and becomes the highest-ranked paddler with less than the minimum five best results, meaning he could easily crack the top 20 with one more decent result. 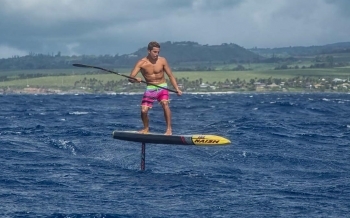 While all eyes are on Maui this weekend to see who will triumph in the 8th Annual OluKai Ho’olaule’a, Kai Lenny made us temporarily shift focus after dropping this crazy little nugget on Instagram a few hours ago. 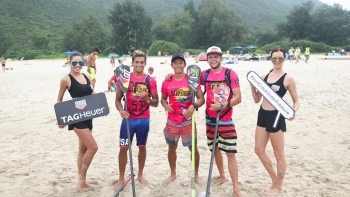 What are some of the world’s top SUP athletes doing in the off season? 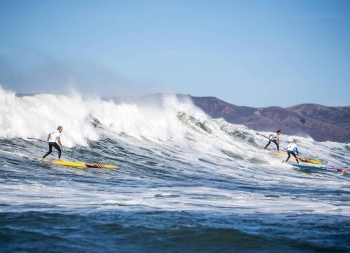 What they love most: Surfing big waves.